I’m telling you, if you draw nigh to God, He will draw nigh to you. Don’t you ever let anybody make you feel bad because you are going through a time. Now I want you to understand from the Word of God that when you are going through a time, God has appointed something to you. If there is something in your life that has been destroyed and the only thing left is ashes, you get ready for a wind of God to blow those ashes out of your life. And along with the wind of God is going to come beauty. If you are in mourning, God wants to give you beauty. He wants to give you the oil of joy for mourning. 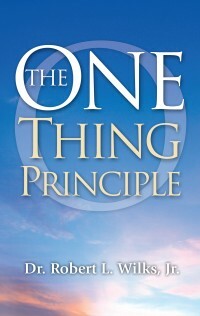 Oh, this is what the one thing principle is all about. If you can just learn how to get into God’s presence, if you can just learn how to get in there and open up your mouth and begin to sing unto the Lord and make melody unto the Lord. I’m telling you, if you draw nigh to God, He will draw nigh to you. (James 4:8). And where His presence is there is fullness of joy. He’ll give you joy for your mourning. You don’t need money for your mourning, you need joy for your mourning. You don’t need another person for your mourning, you need joy for your mourning. You don’t need to move out of town for your mourning, you need joy for your mourning!